February is Children’s Dental Health Month! We see children and patients of all ages at The Gorman Center for Fine Dentistry. However, Dr. Gorman takes a special interest in your child’s pediatric dental health. Why? 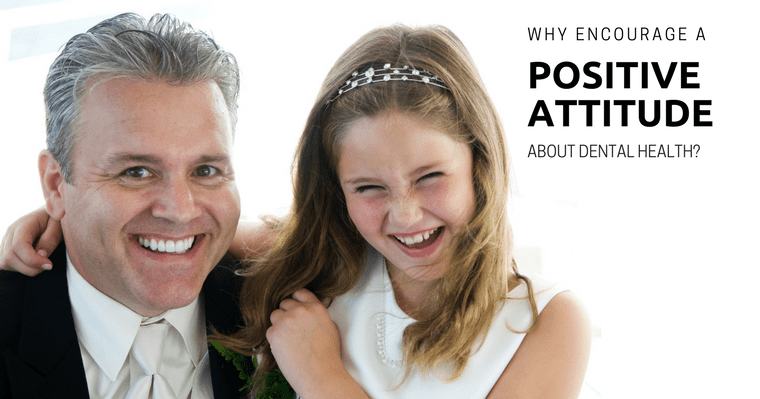 Dr. Gorman emphasizes that it is essential that children enjoy a positive, fun dental visit early and that parents talk about going to the dentist as a routine, comfortable experience. The team here at The Gorman Center recommends that patients with very young children bring their kids with them to their dental visits. This enables the child to see the office and their parent in the dental chair and observe what a dental visit looks like. When it is their turn to sit in the dental chair for the first time, it will feel familiar. This sort of “warm-up” has worked well for our young patients at The Gorman Center for Fine Dentistry. Let’s go ahead now and answer some of the most common questions regarding children’s (pediatric) dentistry. Q: When should my child first see a dentist? When should they start brushing? A: Dr. Gorman recommends a child have their first formal dental visit before the age of three. As soon as children have teeth they must be cleaned on a daily basis. When cleaning these new teeth, a toothbrush specifically designed for infants with a small head and soft bristles works well to remove plaque. As more teeth appear, begin brushing two times a day with fluoridated toothpaste and an age-appropriate toothbrush. When it comes to the amount of toothpaste, a “dot” should be used for children under two years of age, and a “pea-size” amount used for ages two to five years. Parents should perform or help with brushing at this young age because children are not capable of brushing their teeth effectively. 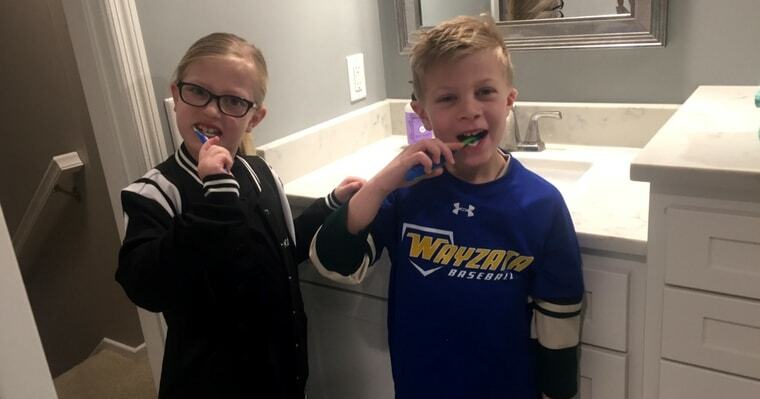 Our cute patients Kailee and Griffin showing us their brushing routine! Q: How important are baby teeth to my child? A: There are many reasons that primary, or baby, teeth are important. They allow the child to speak clearly and chew naturally. Baby teeth also play the role of establishing a path for the permanent teeth to follow as they mature and erupt. Keeping baby teeth healthy and taking care of any treatment helps the teeth maintain their proper spacing. Q: Are pacifiers or thumb-sucking okay? A: These habits are usually not a problem unless they continue for an extended period of time. Past the age of two thumb- or finger-sucking can potentially cause crooked teeth or bite problems. Dr. Gorman will evaluate and suggest ways to put these habits to a halt. 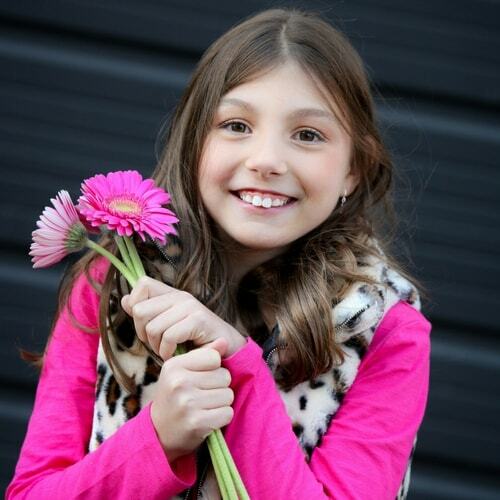 Our patient Ava showing off her cavity-free smile! Q: How important are sealants for my child? Dr. Gorman believes that sealants are the single most important dental procedure for pediatric dental health to prevent decay on the chewing surfaces of all the back teeth. Sealants are made of clear material and applied to the chewing surfaces of back teeth. This is where most decay occurs because it is impossible to clean the tiny crevices. Sealants “seal out” food and plaque in order to reduce the risk of decay. These sealed teeth keep the child protected throughout the most cavity-prone years. Q: How can I help my child prevent cavities? She points out that regular dental visits reinforce the importance of healthy dental habits. Making dental visits a priority shows them that oral care is important. In addition, a balanced diet is crucial to the health of children’s teeth. Meals should include fruits, vegetables, protein and healthy fats. Sugars, sticky snacks, and starches should be limited. It is especially important to allow only water in a child’s baby bottle or sippy cup at bedtime or naptime. We love to answer your dental questions, so contact us at (651) 483-5134 or smiles@drstevegorman.com. Visit our online smile gallery at www.drstevegorman.com. Julie will be happy to schedule your family’s appointments with Dr. Gorman.